Wizkid Gushes Over All His Sons As He Shares Photos Of Them; Davido Reacts. HomeAllWizkid Gushes Over All His Sons As He Shares Photos Of Them; Davido Reacts. In a surprising version of events, Nigerian singer, Wizkid has shared really lovely photos of all three of his sons on his social media – a rather rare action of the singer, which has got many wondering what’s up with him… could he have possibly turned a new leaf? He’s now some moments ago, taken to his social media page to share photos of all three of his sons, Boluwatife, Ayo and Zion – this makes people wonder if the singer is gradually coming out of his shell and embracing fatherhood. 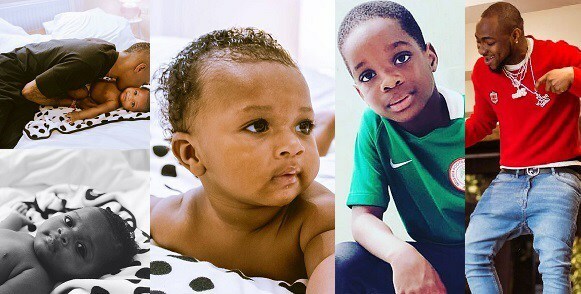 The father of 3 first shared lovely photos of his 3rd son, Zion, who seems to be his favourite, then later shared photos of his first son Boluwatife and his 2nd son, King Ayo on his Instagram page. Although, he had initially denied the second son, Ayo, it’s quite nice to see that he has finally accepted responsibility for the child.